Sells today at auction for record $17,752,500. Sets new record for most expensive watch ever. Patek Philippe better make a new watch masterpiece to gain 1st. place again. Sadly, I dropped out of the bidding early. No grail for me. It really is mind boggling. I wonder who the new owner is? Patek Philippe has bought back many watches at auction for their museum over the years. Good move IMO. I had dinner with the UK sales manager a few months ago and discussed that very point. He told me that Patek Philippe (and the Stern Family) were no longer buying older models for their museum. Interesting, Charles. Maybe PP is at a place where they're comfortable with what they currently have in their museum. Thanks for the information. Nicklaus is such a classy Rolex Ambassador. Always looking for a way to give back to society with his charity. Paul Newman's Rolex Daytona went for $17.8 million. Can the golfing legend's watch come close to that price? So what's the next watch owned by an icon that could fetch millions of dollars? Industry observers are casting an eye at Jack Nicklaus' gold Rolex Day-Date, a watch the retired golfer has worn since he received it in 1967. 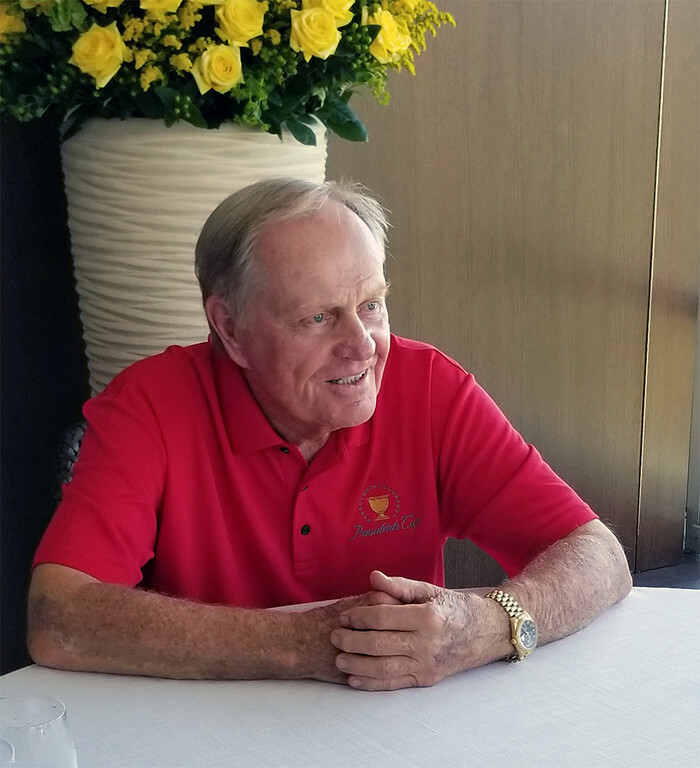 Nicklaus has stated that he plans to sell the watch at auction, with the proceeds going to his favorite charity, the Nicklaus Children's Health Care Foundation. The foundation, which Nicklaus started in 2004, provides families with access to world-class pediatric health care. Paul Boutros, head of Americas at the Phillips auction house, says that Nicklaus hasn't said exactly when he plans to sell his Rolex, the only watch he's worn regularly for the last half century. I personally asked him about the watch and auction back in late September. He is planning on auctioning it off sometime in the near future and had not picked an auction company or auction date at the time I asked. He said the watch was with Rolex. I wasn't able to follow up on the question, but was thinking maybe it was being serviced. Your information is correct. He said all proceeds will benefit the Nicklaus Children's Health Care Foundation. He said he was expecting at least 1 million dollars, but I'll bet it will be much more when you consider the ridiculous money the Newman auction brought. His 1803 Day-Date is much more documented in photographs than the Newman Daytona. 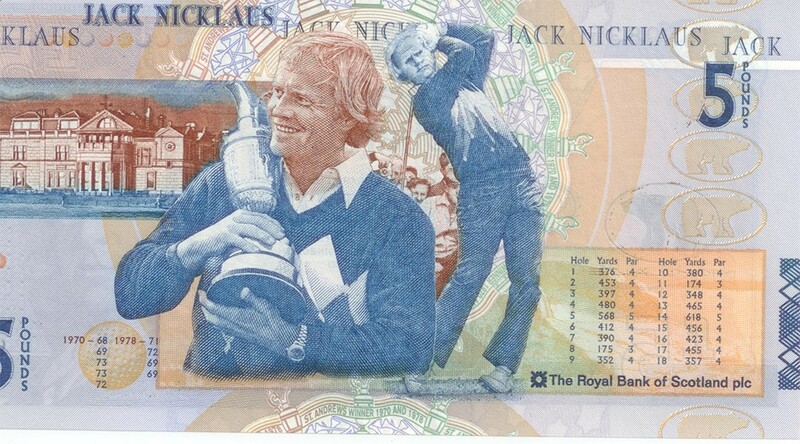 Heck, it's even visible on his wrist on a 5 pound Scottish note (see below). He wore it all the time and there are hundreds of photos of him wearing that watch out there. I'm not sure if that necessarily means more money or not when sold, but I'm looking forward to following it once it's announced. I took the picture below when sitting across the table from him. He was wearing a black dial newer Day0Date on the day I met him. Steve - thanks for sharing that pic and the little insight from that conversation. Had forgotten about that interview and the pic you had of his watch at the President's Cup. How special that day must have been. I hope to add one of those to my collection some day...white dial and sticks. I wanted the auction live, the watch sold for $15.5 million the $17.9 Million figure includes the Buyer Premium paid to the Phillips Auction house so the seller does not pay a commission but the watch itself was $15.5 Million. Next Topic: Explorer II bezel can't be polished?